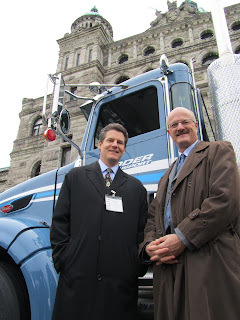 Westport Innovations showcased its natural gas vehicle technology at a November 17 event organized by Fortis BC, in collaboration with PNWER, Vedder Transport, and Waste Management at the front steps of the B.C. Legislature. Members of the public and attendees of the 2011 PNWER Winter Summit learned more about the existing provincial framework that helps support the use of natural gas in commercial vehicles: the availability of B.C. 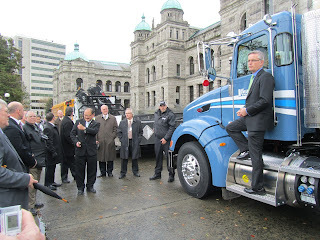 natural gas, engines designed in B.C., and a fueling infrastructure manufactured in B.C. Along with a presentation by Barry Penner, MLA, visitors met with industry experts to learn more about natural gas vehicles (NGVs) and how they benefit the transportation sector. British Columbia is poised to be an emerging leader in clean transportation solutions by reducing greenhouse gas emissions that come from the transportation sector. By virtue of our local natural resources and home-grown technology, B.C. 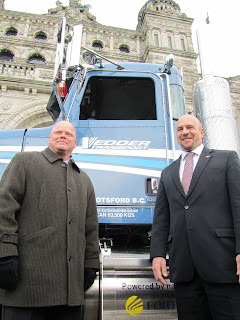 has a great opportunity to generate economic and environmental benefits for all British Columbians. As a made-in-B.C. 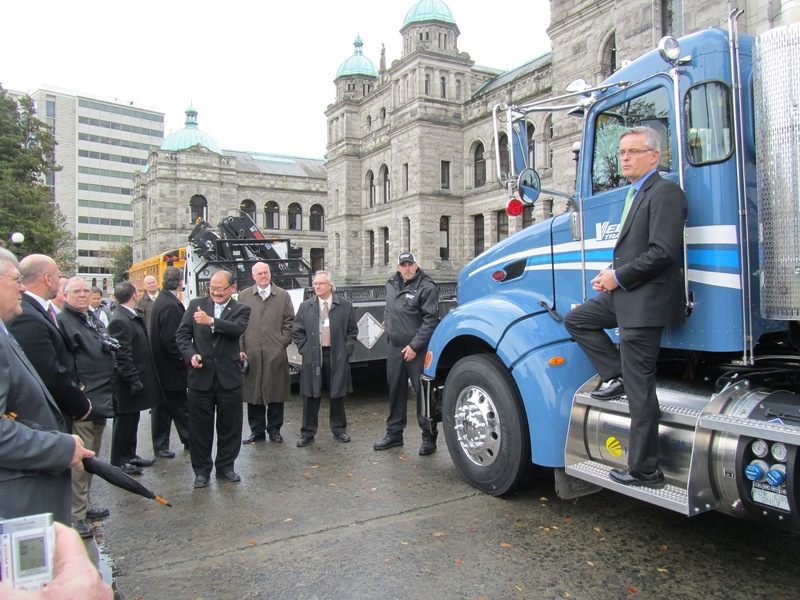 low emission solution, Westport technology provides an economically and environmentally sustainable solution that the provincial government should continue to encourage and support as part of its framework and strategy for transportation. A climate that encourages the use of NGVs benefits from an invigorated local economy, increased use of domestic natural gas and a reduced carbon footprint. 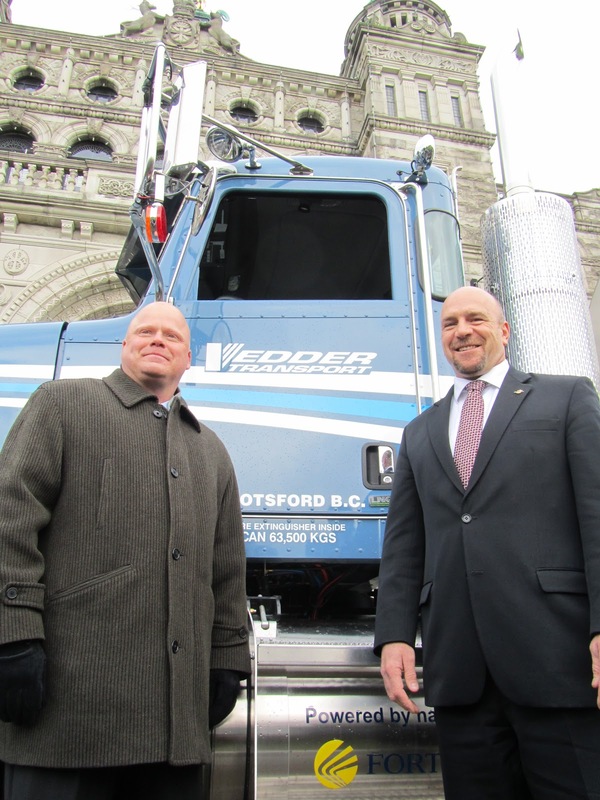 Westport has worked closely with Fortis, the largest natural gas distributor in the province, and Waste Management, to launch Canada’s first fleet of natural gas refuse collection trucks in operation in B.C.